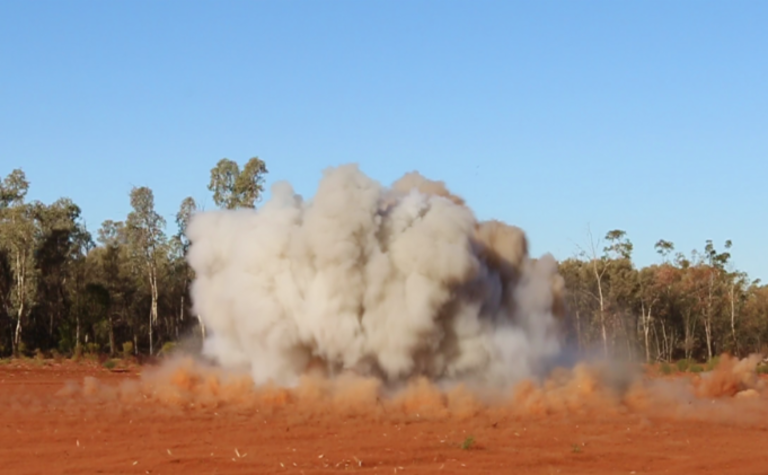 PRESS RELEASE: Over the past few years, research has been underway at Mining3 to deliver a hydrogen peroxide-based explosive, which is non-toxic and presents a far safer and environmentally friendly alternative to current blasting materials. 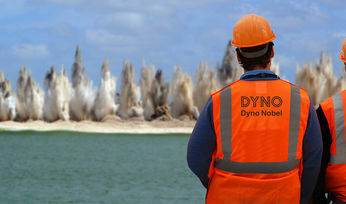 While the initial research confirmed ammonium nitrate-free explosives was a viable option, further investigation was required in fume monitoring, blasting capability, underground blasting applications and alternative fuel formulations. A blasting chamber was installed at the Pinjarra Hills facility in Brisbane, Australia, to provide an on-site testing environment. Detonation monitoring confirmed that the post-blast fumes from hydrogen peroxide-based explosives did reduce exposure risk and delivered a significant reduction in toxic post-blast gases. 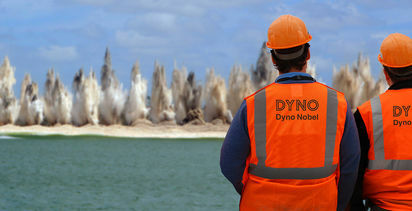 Comparisons of 100g detonations between the hydrogen peroxide-based explosive and the bulk ammonium nitrate explosive (ANFO) revealed that the latter was associated with a maximum of 50PPM Nitrogen Dioxide (NO2) gases over 25 minutes, whilst the hydrogen peroxide-based explosive had no NO2 fume production. Success was also achieved in underground mining with trials conducted at the Sandvik mine facilities in Tampere, Finland, where Mining3 researchers conducted underground burn cut and fume monitoring trials. Tests in high density (~1.07g.cc-1), hard volcanic rock revealed that hydrogen peroxide-based explosives obtained the velocity of detonation values in the vicinity of 4.7 km.s-1 and performed similarly to an ammonium nitrate emulsion (ANE) product during comparative tests. Gas monitoring data also indicates that the hydrogen peroxide-based explosives produced less toxic carbon monoxide post-blast fumes than the ANE product. Further trials, optimisation, and loading improvements are anticipated to further enhance detonation performance and reduce re-entry time during operations. In addition to the effective underground blasts, the production team proved that international borders are not a barrier to the technology. Local materials were tested and confirmed to meet the requirements for the alternative explosive formulations. The oxidising component, hydrogen peroxide, is manufactured around the world in industrial volumes for several industries and is already used in some mining operations for ore processing. The use of hydrogen peroxide at a concentration of 50% has been utilised for explosives testing as it has a wide commercial availability. While higher percentages of hydrogen peroxide have been utilised in the past for explosives, in the interest of a bulk explosive, a 50% w/w percentage solution has adequately performed in blast trials. The predominant fuel component, glycerol, likewise is available in commercial volumes. The sensitisation material, glass micro-balloons (GMB), required to enable detonation of a hydrogen peroxide-based explosive is readily obtained from a number of international companies. The low percentages of the sensitisation material used to achieve the desired density of the hydrogen peroxide-based explosive are comparable to, or less than what is required for an ANE product. In all, the alternative explosive formulation can be optimised for global application. Finally, the investigation of inexpensive, alternative fuels for the hydrogen peroxide-based explosive technology, were identified thanks to a collaboration with Southern Oil. The aim was to replace the expensive glycerol fuel component with an inexpensive waste line from the oil refinery industry. The identification of refinery distillates as fuels have added stability, flexibility and cost reductions to the product. 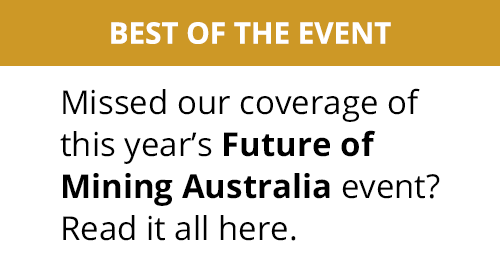 It was this new alternative fuel-based formulation, designed by Dr Kettle - a research scientist at Mining3 - that was displayed at a National Explosive's Forum in Helidon, Queensland, in October. At this event, the practical manufacture method was demonstrated which was followed by the detonation of 500g of the hydrogen peroxide-based explosive product. As the display, two prepared solutions - oxidiser and fuel phases - were combined and during mixing, activated to produce a hydrogel. 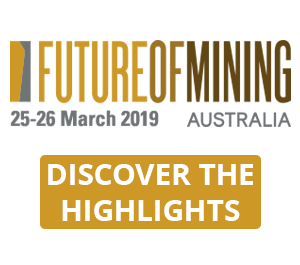 The demonstration provided a chance for the mining industry to understand the denotation capability of this alternative fuel source, which has maintained the product blast capability. 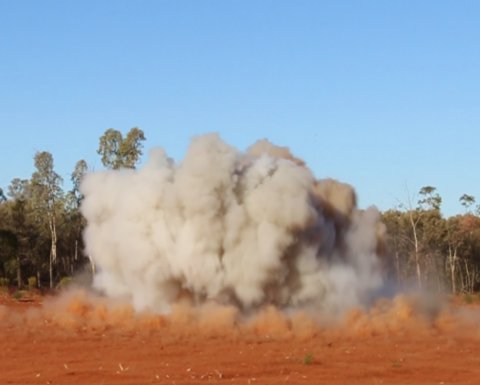 The next stages of the alternative explosives project include further applications in surface and underground mining and optimisation of formulations to meet the industry demands for commercial purposes. Commercial partnerships with material suppliers and manufacturing unit producers are currently being negotiated, and multiple trial sites are scheduled to progress the operational integration of this product into the mining industry.